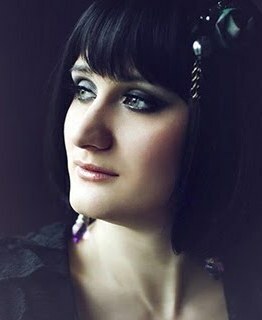 Maria Lillepruun is our second Guest Designer this month! 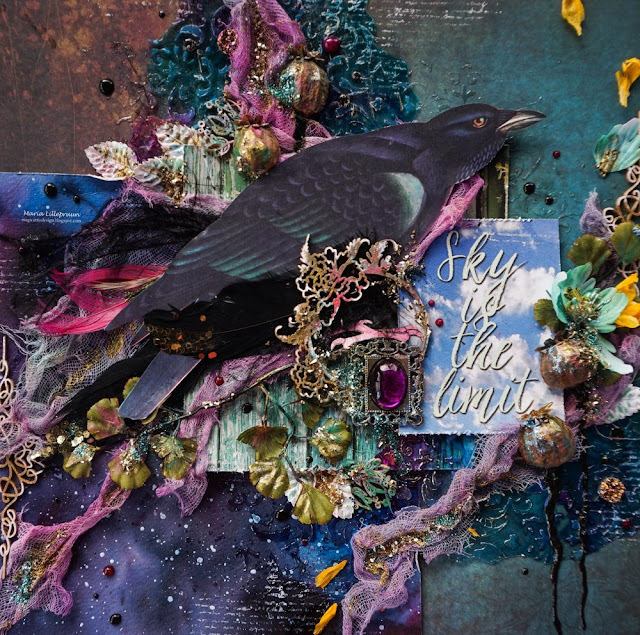 She was inspired by our current mood board and created this lush layout, filled with textures and colors. Meet Mariа Lillepruun! Thank you so much for the invitation! 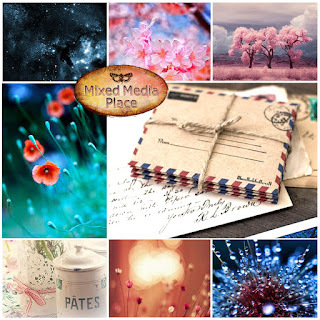 I am super happy to guest design for the Mixed Media Place blog, one of the best mixed media blogs online! My name is Maria Lillepruun. I am an experienced scrapbooker and a mixed media artist based in Tallinn, Estonia. My biggest hobby is playing around with beautiful paper, paints, textures, and glitters. I can literally do it 24/7 :) I lead live workshops and do my best to popularize mixed media art in my country. 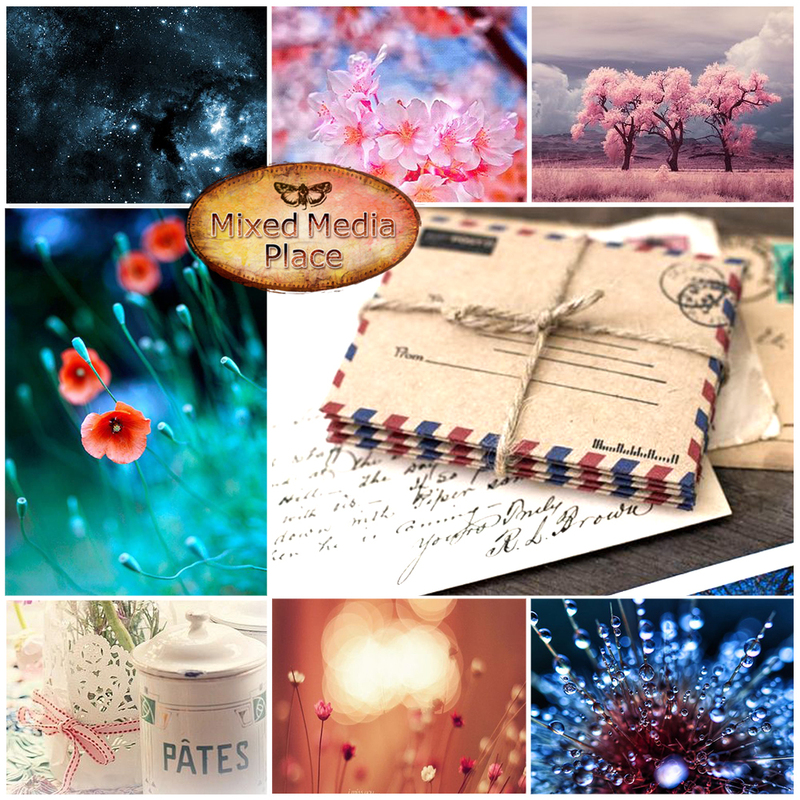 I really loved the new Mixed Media Place mood board and was happy to incorporate some of its details in my project. I created a mixed media layout with one of the most intriguing birds in nature, the raven. I see this wild bird as a symbol of freedom and wisdom. I called the layout "The sky is the limit". It now decorates my studio and inspires to think deeply and create freely whatever I desire without letting any doubts to disturb my creative process. I was inspired by the space picture on our mood board, but I also wanted to include poppies and some pink splashes in my layout. To create the background I combined the patterned paper background (Fortune-teller "Charted" sheet, Verano Azul "Green time" sheet) with hand painted space background. I painted space with watercolors. The additional texture is applied to acetate sheets using Prima stencil. 3 D gloss gel and alcohol inks. The poppies on the layout are dried real poppy heads that I glued on and painted to add a special detail to my layout.